Sign up to receive exclusive cinema news and special offers. Thank you for joining the Roxy Cinema mailing list! Any celebration of cinema is a celebration of women. Since Mary Pickford first batted her lashes or Theda Bara’s gaze penetrated the smoke filled movie house, the silver screen owed its very existence to the glory of the Leading Lady. But filmmaking historically remained a male-dominated industry, and still very much is; with lower wages for actresses and limited access for female directors into the Hollywood Boys Club. Despite the odds against them, women have forged the weapon of indisputable talent to emerge powerfully into the status of storyteller. Here are a few films by great women, about great women and starring great women, that The Roxy presents in the March program. Among the rich soil of 1990’s independent cinema, Allison Anders bears a torch as one of its greatest directors. Her subject matter also made her a social force, casting a unique light on female life and perspective. In Mi Vida Loca Anderson beautifies the struggles of teenage girls in the barrio. A coven of witches (presided over by Madonna) weaved clandestine magic in Four Rooms. In Grace of My Heart she celebrated the life of Carol King and the paths she created for women in the music industry, but Anderson first set the course for her meaningful career with Gas, Food, Lodging. The film stars Brooke Adams as a lonely waitress, with Fairuza Balk and Ione Skye as her two daughters coping with the isolation of a trailer park New Mexico ghost town. The film set a precedent for indie cinema at the time with its fascination with the hyper rural recesses of America and the beauty and brilliance struggling to thrive within it. Director Julie Taymor may not be a household name, but she ought to be. She is, after all, responsible for Broadway’s The Lion King where she informed theater with her innovations in puppetry. She also directed the operatic production of Mozart’s The Magic Flute, still performed globally every season and established herself as a filmmaker with two adaptations of Shakespeare plays: Titus starring Anthony Hopkins, and The Tempest starring Helen Mirren in the typically male role of the sorcerer Prospero. 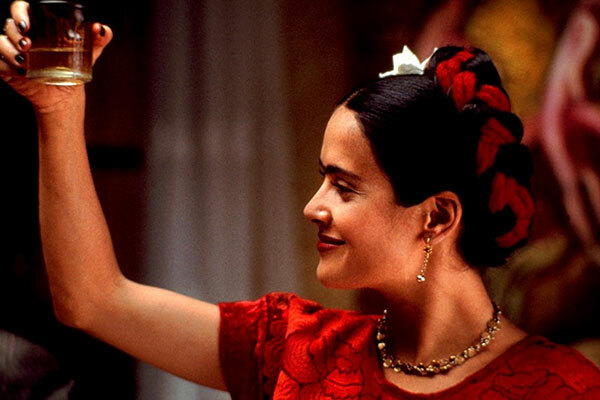 Selma Hayek earned an Oscar nomination for her role in Taymor’s Frida, a biographical film of Frida Kahlo, one of the most celebrated figures of either gender in the world of art. Virginia Woolf is undoubtedly one of the chief figures in modernist literature. Her courage shattered literary conventions with her inventive use of language and plot structure. Her novel Orlando is here adapted by director Sally Potter into an equally unconventional cinematic experience. The film was a break out role for Tilda Swinton, whose talents had been heretofore obscured in the realms of art house cinema. The role of Orlando, an English nobleman granted the gift of immortality who spontaneously switches gender halfway through the plot, was so well invented by Woolf and interpreted by Potter to allow for the actress to demonstrate the depths of her captivating talent. With Academy Awards for Art Direction and Production Design, this superb film spans several centuries that comments on the powers and disadvantages of women in society through history. Jane Campion is the second of four women ever nominated for the Academy Award for Best Director and is the first—and thus far, only—female filmmaker in history to receive the Cannes Film Festival Palme d’Or, for directing the acclaimed The Piano… for which she won the Academy Award for Best Original Screenplay. Academy Awards for Acting were awarded to both Holly Hunter and Anna Paquin for this strange and beautiful film set in the mid 19th century, about a mute piano teacher and her daughter in a desolate New Zealand coastal town. In The Virgin Suicides, director Sophia Coppola executed the very rarely used technique of emulating a time period using color palates and film qualities native to the era, a daring move through which she told the story of a group of sisters whose flowering womanhood is squelched by an overbearing religious mother. With Marie Antoinette she extends her penchant for anachronism to pre-Revolution France in all its decadence whilst New Order blares on the belligerent soundtrack. Kirsten Dunst stars as the ill-fated French Queen in this rare and enjoyable comedic costume drama. The film also features fellow filmmaker Asia Argento and rock and roll legend Marianne Faithful.